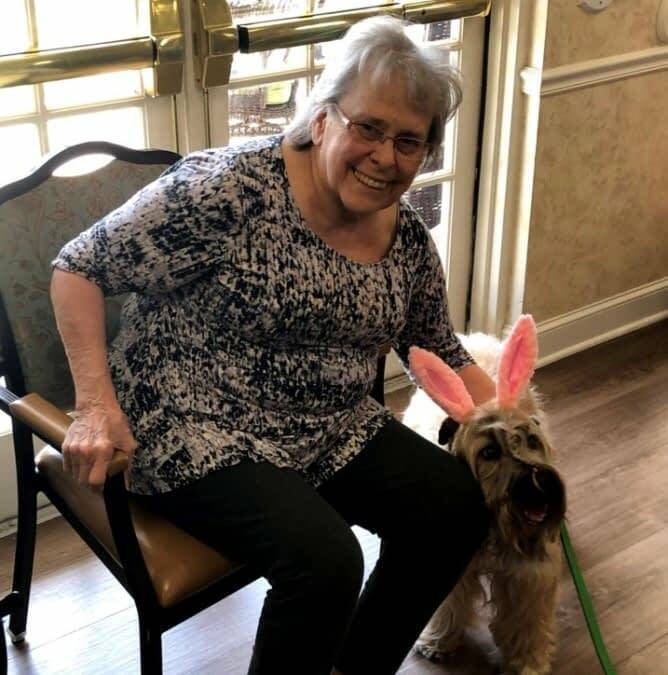 Jill Childs (left) introduces her dog Aero to The Lantern at Morning Pointe Alzheimer’s Center of Excellence, Collegedale (TN) resident Marilyn Selman (right). The Lantern at Morning Pointe Alzheimer’s Center of Excellence, Collegedale (TN) resident Patti Whitson gives an affectionate pat to therapy dog Quinn, a soft-coated Wheaten terrier who originally hails from Ireland. The Lantern at Morning Pointe Alzheimer’s Center of Excellence, Collegedale (TN) residents Elizabeth Toomey, Eleanor Anthony, and Nelda Poole stand next to a piece of living history as they observe the world’s oldest tow truck at the International Towing & Recovery Museum in Chattanooga.